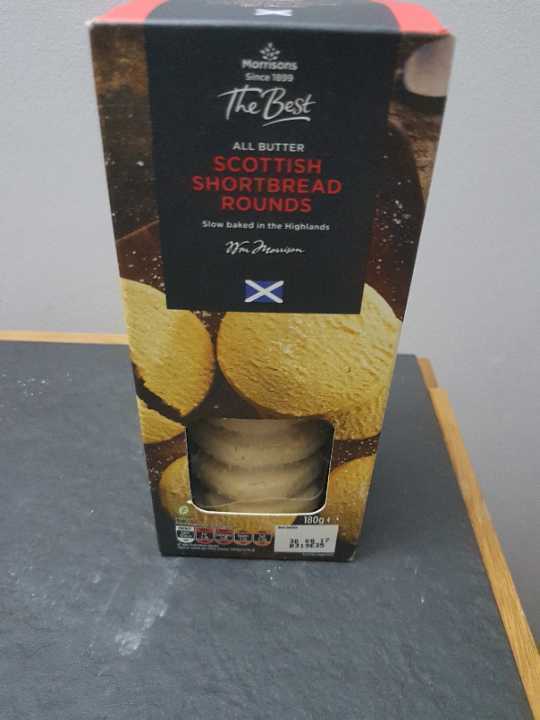 Morrisons all butter Scottish shortbread rounds. Best before August 2017 but unopened. I forgot I had them.